Minimise the impact of every day cleaning activities on your septic tank with our tried and trusted biodegradable cleaning products, including our own brand BLOOMING ECO. An environmentally friendly alternative to traditional washing liquid and powder. Simply pop them into your washing machine with the dirty clothes and they ionize the water, allowing it to get deep into your clothes and lift the dirt away. They work out cheaper than 3p a load (Based on a 30 minute cycle). 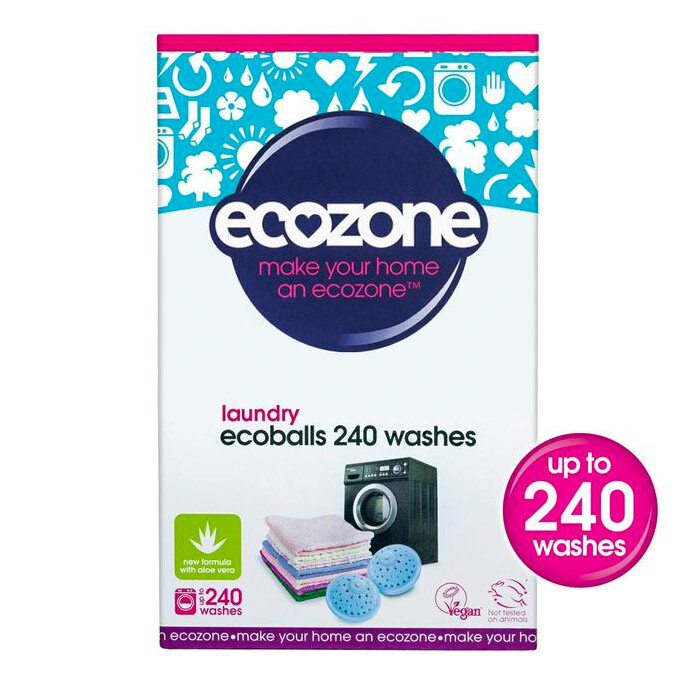 Rinse cycles can be shortened, and the Eco balls won't damage or fade clothing. They are also fully hypoallergenic, which is good news for people sensitive to phosphates and optical brighteners. We love them and have even used them with cloth nappies!